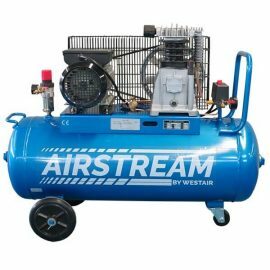 AD38/120 - WestAir International Pty. 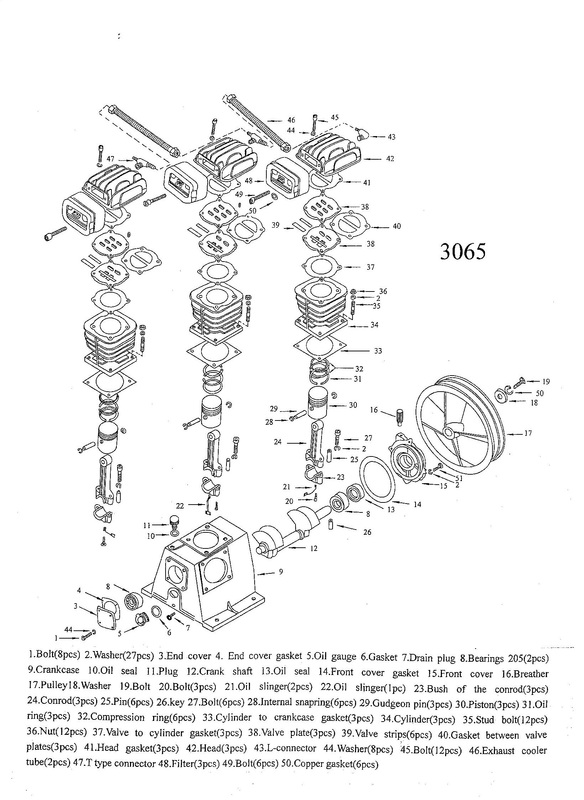 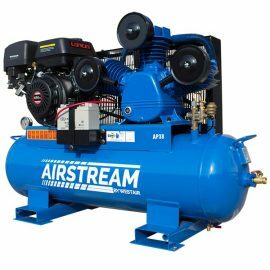 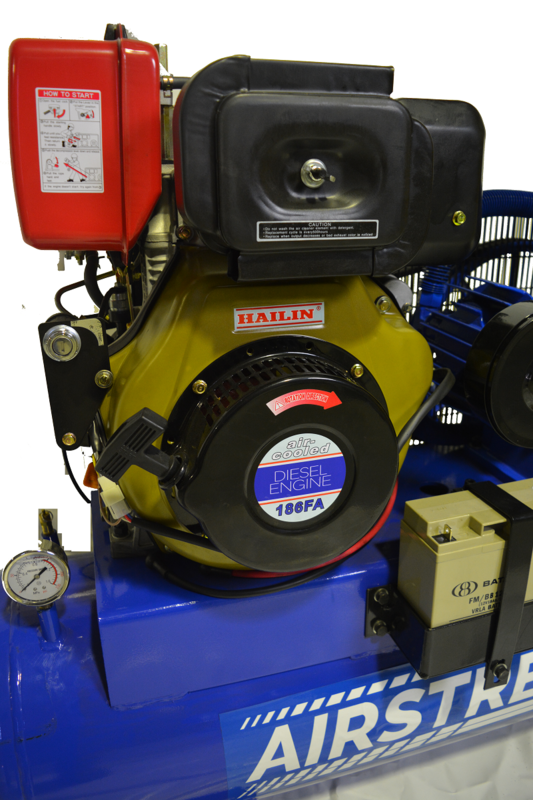 Ltd.
Our AIRSTREAM range of diesel air compressors by Westair offer portable and stationary models powered by engines. 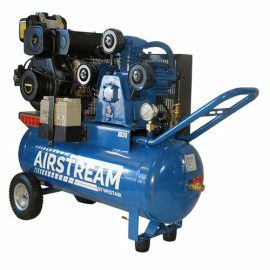 With excellent reliability and robust design for Australian conditions these air compressors are designed to tackle a wide range of applications where power isn’t available. 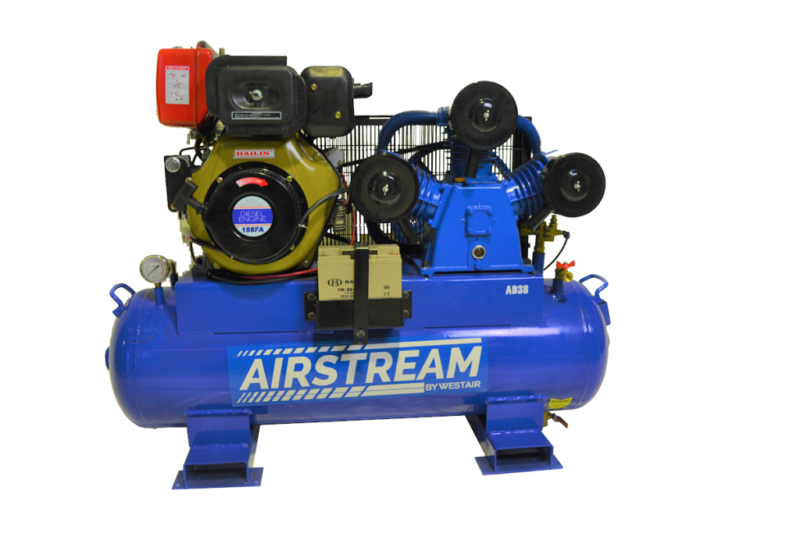 The AD38 comes with an electric start diesel engine as standard complete with battery and leads.